When your new baby arrives home, the typical routine of baby creating their own routine will be standard for nearly the first three months or so. However, creating a routine and trying to stick with it will help keep everyone sane. Typically, by four months or so, it is easier to start establishing a routine. The baby is probably sleeping in longer stretches, at night preferably, and if not, a bedtime routine can help everyone start to move back towards a normal sleep routine. Nighttime feedings are no longer necessary, and as your baby is becoming more aware, now is never a better time to start introducing routine. Everyone has special sleeping needs. And this is no different for babies. Some babies may be more nocturnal, while others want to go to bed early. Look for cues from your baby about what time during the night they are ready for bed. Usually, babies will gravitate to a bedtime between 6-8 p.m. It might be right after dinner, or at the latter end of the spectrum once dinner has settled but try starting within this time frame. 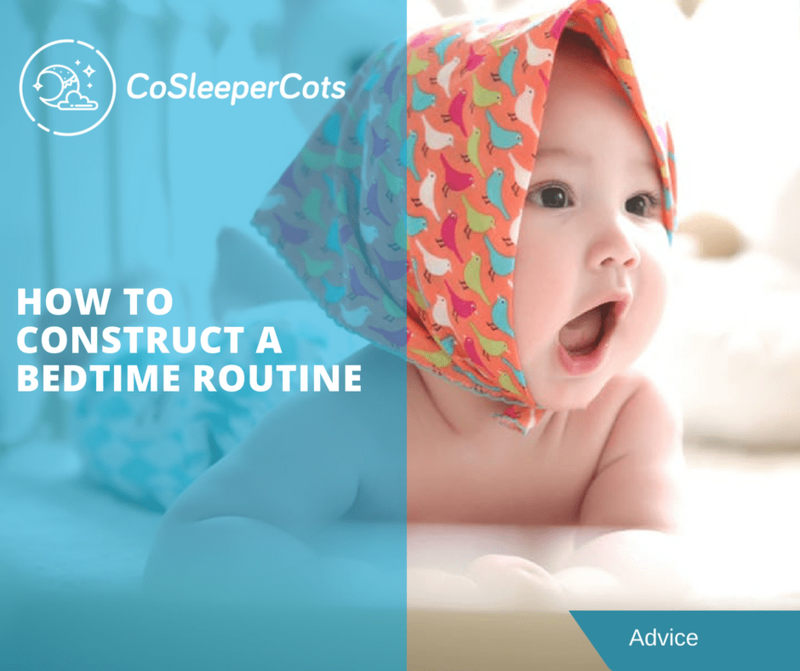 Routines for bedtime shouldn’t take hours. Most parents find that a four-step process tends to work best. Quiet time, reading some books, taking time to reflect about the day, a bath, getting jammies on, or a short massage are common points of interest for bedtime routines. Consider what you like to do to get ready for bed. Between 15-30 minutes is all the time that a bedtime routine should require. You’ll need it to be long enough to give your baby time to settle for the night, but you shouldn’t have to spend hours working to get the baby to go to sleep. In addition to the routine, make sure that it can be approached by both parents. This will prevent objections in the future by being put to bed by only one parent. Nightlights might be a thing once your baby reaches toddlerhood, but they are not a necessity right now. Your baby will not be afraid of the dark, and the darkness will actually help cue in sleepy time awareness. If necessary, a very dim light could be used so that you can see when leaving the nursery or navigating away from the sleeping area if you are co-sleeping, but a typical nightlight isn’t important at this point. A dark room will also encourage your baby’s brain to release melatonin, our natural sleep hormone. By contrast, lots of light exposure during the day will help melatonin regularity, and the development of an internal clock or circadian rhythm. When transitioning into a routine, whether it is into baby’s own room or co-sleeping, finding the right bedtime accessories, namely the right bed and any kind of blanket or cover that you are using is key. No one wants to sleep uncomfortable, and you’ll never sleep if you’re worried about the baby. While co-sleeping in the same bed isn’t advised, co-sleeper cots are abundant on the market. 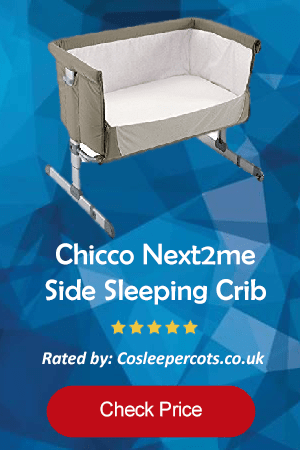 By visiting https://www.cosleepercots.co.uk/ you will be able to both gain information and insights about cosleeping, but also discover an abundance of helpful reviews for what cosleeper cot is best for you. This is so important for a successful routine. As all of us sleep in cycles during the night, we all have times that we move to lighter sleep. When a baby wakes during the night, it tends to be because they are upset that something has changed from when they fell asleep. They don’t understand why they aren’t still nursing, or why they aren’t still rocking or being held, as was when they went to sleep. When you put your baby down for bed, they should be incredibly drowsy, but not asleep yet. This lets them adjust to their sleeping surroundings, and not be alarmed if they wake up and you aren’t there. While consistency is important to making a routine that sticks, it is important to remain flexible, especially while you are developing the routine. Different needs as the baby grows will happen, and if something isn’t working tonight, it’s time to try something else. Being flexible will reduce the feeling of wanting to pull your hair out when your routine doesn’t work, especially when it worked just the night before.